I purchased 15 of the enraged crystals and recieved a 3* megatron. But I did not see a single 4* megatron available on the spin. If I am wrong please do let me know and if you all have also encountered this issue just like freedom crystal, lets ask kabam for the return. 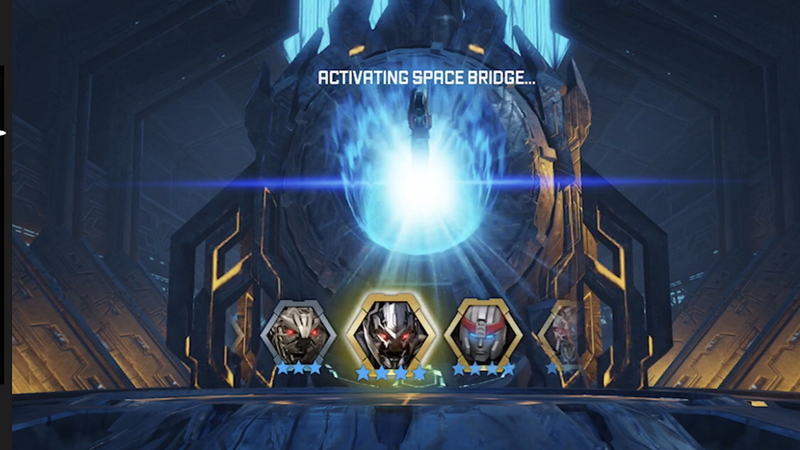 We made double/triple/quadruple sure that Megatron was definitely in this crystal, and a number of Commanders have already added the 4-Star Megatron to their roster. Thanks for the prompt reply. Appreciate it. But I havent come across any players who received a 4* megatron as of my alliance. Amd we have total 5 alliances. Member count of approx 100. 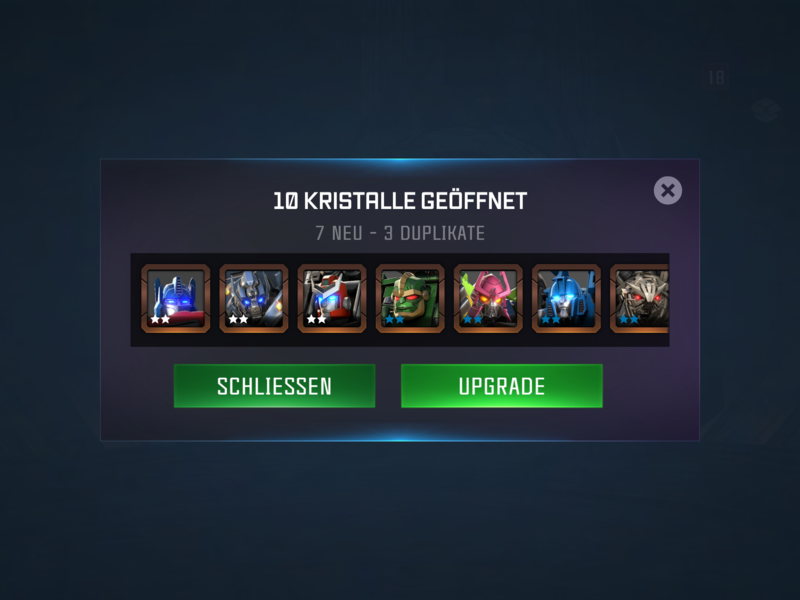 I opened 11 crystals and didn't see 4* megatron in any of those crystals, I purchased them right when the crystal was available, ended up with 11 dupes. Feel like these crystals really don't offer much chance at the new bot, as this is my 5th time buying some of the featured bot crystals and have never recieved the featured bot. 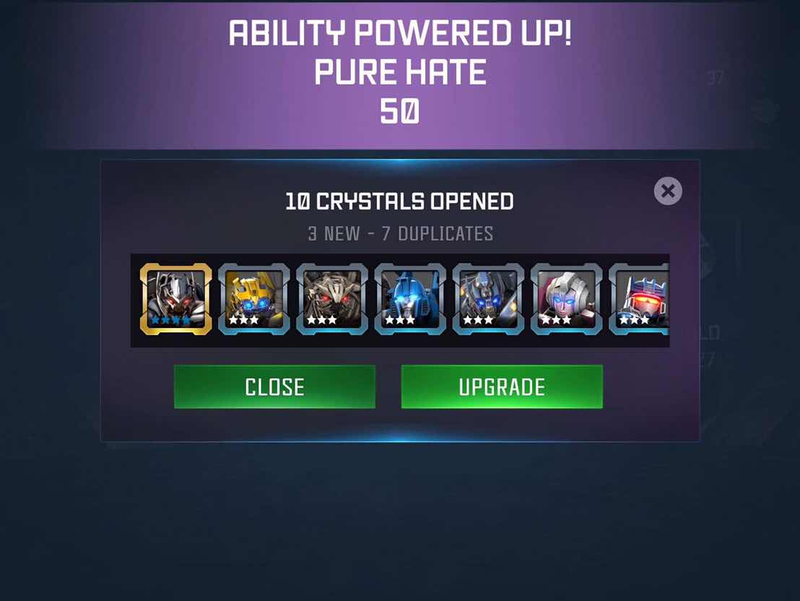 I am done wasting my energon on them until kabam increases the chances of getting the bot. Really dissapointed by this, really makes it hard to continue playing when it is impossible for me to get any of the bots that weren't released at launch as a 3*/4* bot. The chances at the featured Bot are always the same. We don't adjust them based on the Bot themselves, even if we think one may be more enticing than others. We all have our favourite Bots and all find them more or less appealing based on our personal preferences. For instance, my top bot is Soundwave! I found him much more enticing than Megatron, even though I do want him as well. I'm going to ask the team to look into why so many players are reporting that they don't see him in the Carousel, but we've checked again and he is DEFINITELY in there. And what are the chances of getting the featured bot? I have never gotten one and have been playing since launch back in april. 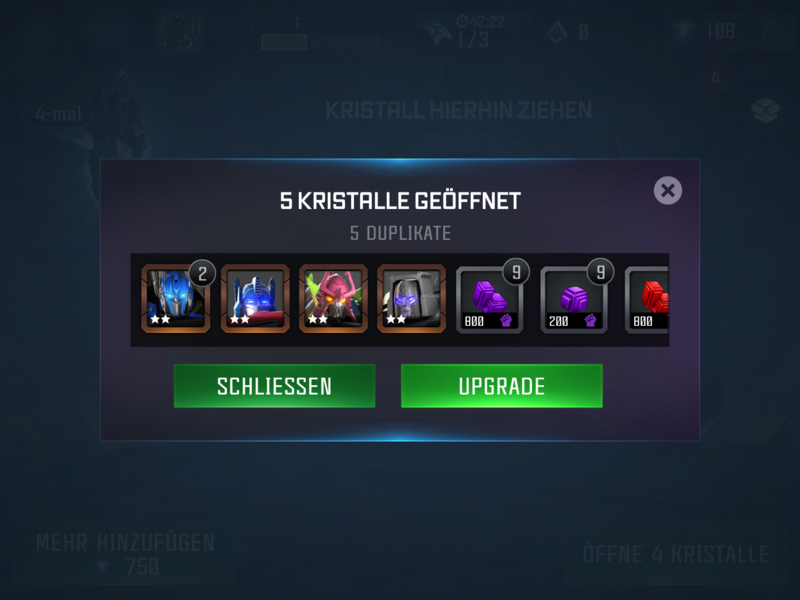 After buying 11 crystals this time and getting ALL dupes of bots from launch yet again I am done buying these "featured" bot crystals. Very frustrating seeing new content put into the game that is almost unobtainable at this point for me. Would love to know the odds too. It won't keep me from spending, but just to let me know how (un)lucky I was. Ps. Got 4* megs too. After seeing the post by toxieavenger, seeing the number of 3* bots and new 4* and 3* megatron, Not just me but every person seeing this post needs an answer as to the fairness of kabam crystals. This question is for you kabammiike. Tbh it looks that exploitation by kabam is at its highest point because we pay for the energon. And just by mentioning that there is a 4* megatron by kabam, that doesnt mean we have to believe kabam liaison. It did not appear in the spin and that means it is not available to many players. TAKE ACTION OR ELSE WE WILL TAKE ACTION. In all honesty, I am seeing tons of people pulling 4* megatron, and the same with the 1k energon SW deal. MV1 was the last one that seemed messed up. And what are the chances of getting the featured bot? I have never gotten one and have been playing since launch back in april. Unfortunately, Kabam does not provide details in regards to drop rates for Bots from crystals. So your guess is as good as any, it's all conjecture. Spent quite a bit but duped my 3 star megatron and just pulled a 4 star megatron. Yes 4/3 star Megatron is there but MV1 is not there again even if it was mentioned that he will be included. Did anyone get MV1 on last weeks crystals? 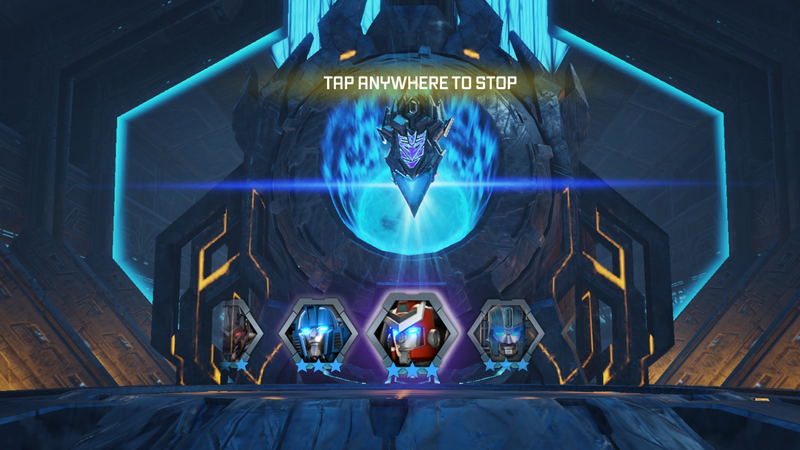 Bought 5 enraged crystals at once, didn't see Megatron at any rank in 4 of the 5 spins. Actually got 5 2* dupes. Feeling a little annoyed. I do believe that MV1 is actually NOT in the crystal, again. 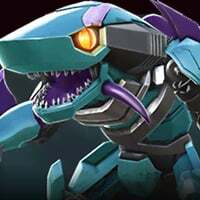 The description says 'every other bot previously released in crystals' which includes MV1. But no matter how many spins I do, I have marked every other 4* bot in the carrousel, but not the 4* MV1. Again. What would appropriate compensation be right now, since the feature bot was included? Nevermind, I'm just whining. Can't edit anymore! How many try's i need to get Megatron? So, I think I've found the issue. Megatron is definitely in the crystal, and in the carousel, but the issue is that he looks very similar to other Cinematic Decepticons, and doesn't stand out. 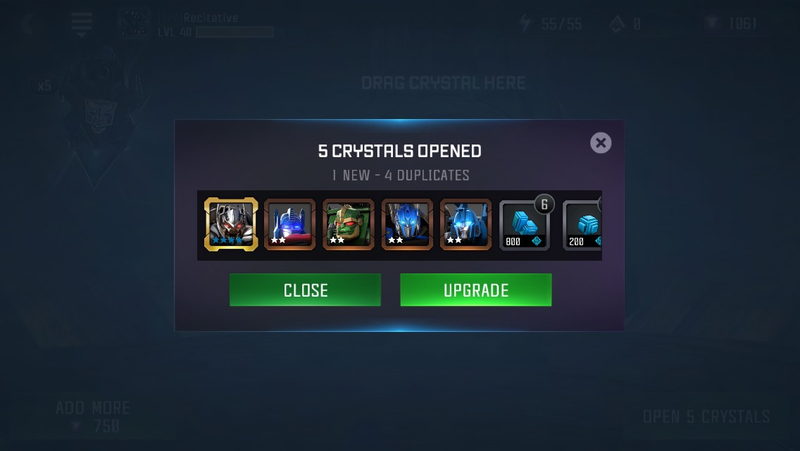 Here is a screenshot I took from a screen recording I did on my own device with the Crystal I opened this morning. Please ignore the quality, I'm running the iOS 11 Beta, and it is not very good.